There are few better choices for an original blogging website than, well… Original! With this template, you get a host of useful features and an aesthetic that is essentially timeless. The template employs tasteful minimalism and asymmetry to its design. Pair that with an attractive font choice, a subtle color scheme and tons of great features and you’re on your way to success. 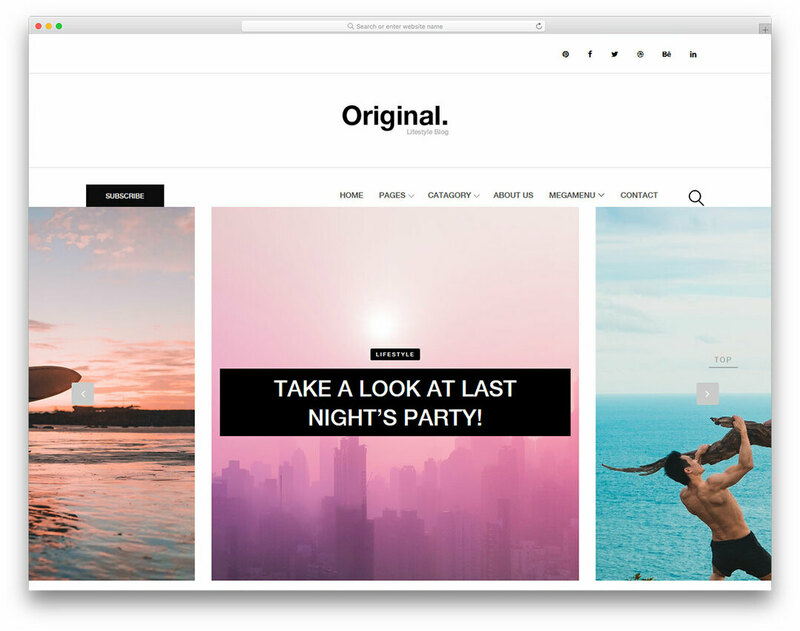 Original will provide you with a newsletter subscription form, top slider, tasteful animation, a way to easily sort your content and a host of ways that will creatively integrate social media into your website.